SEMINOLE COUNTY - If you're a parent, you know what it means for your kids when they lose their favorite stuffed animal. 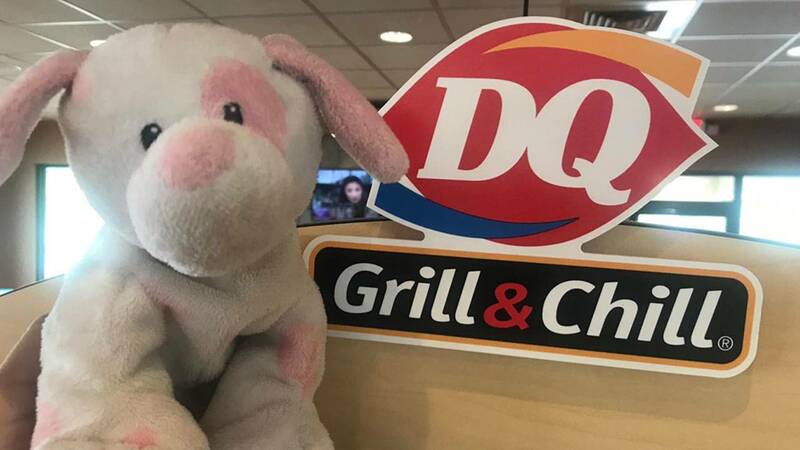 Last Thursday, employees at a local Dairy Queen found a toy, and they're trying to find its owner. Over the past few days, they've been posting updates on how this lost "lovey" is doing. The Facebook posts said as the stuffed animal waits for their mom or dad to come back, they've been treated to ice cream, practicing their coloring skills and playing outside. The updates have garnered a lot of attention online with one post having hundreds of likes and more than 1,000 shares. Some Facebook users have offered a few clues they've heard about, but so far employees tell us they have no leads. So if you know a kid that's missing their toy from the Oviedo Dairy Queen, please let them know their toy is missing them ,too. They can find it at the location on Mitchell Hammock Road near Red Bug Lake Road. You can also call them at 407-542-7726.